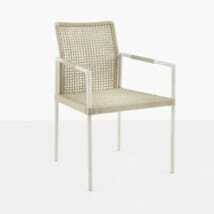 This is the perfect modern summer dining chair for your outdoor space. 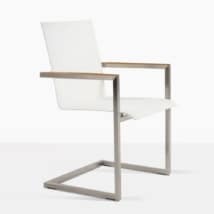 The Republic dining chair has sleek lines with an overall light and airy vibe that is sophisticated with a bit of fun as well. 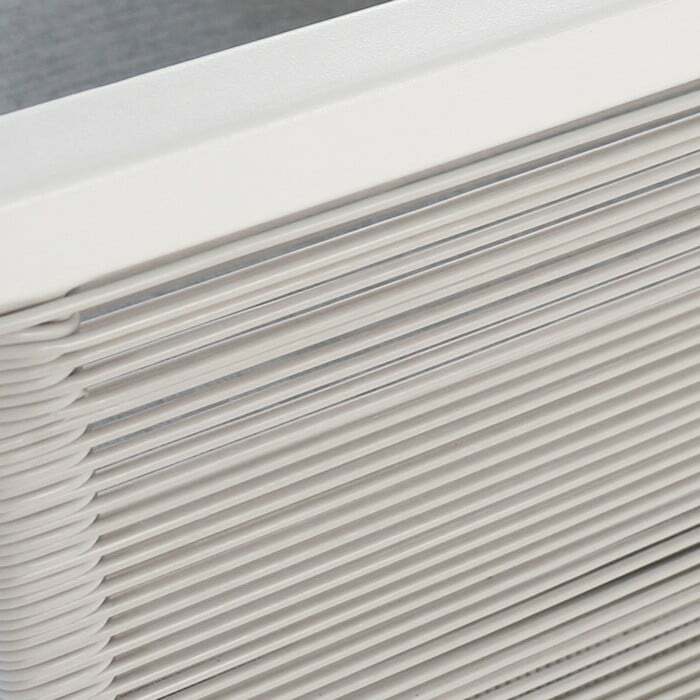 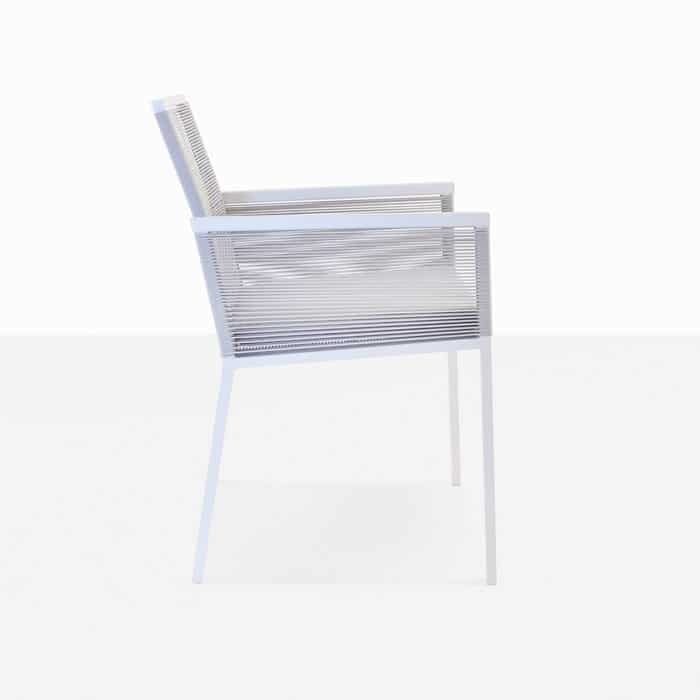 The white powder-coated frame is simple and structured. 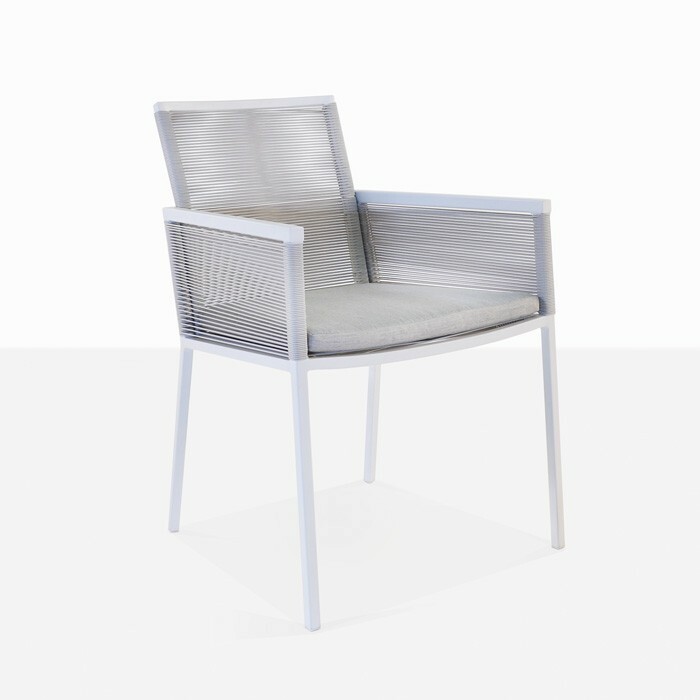 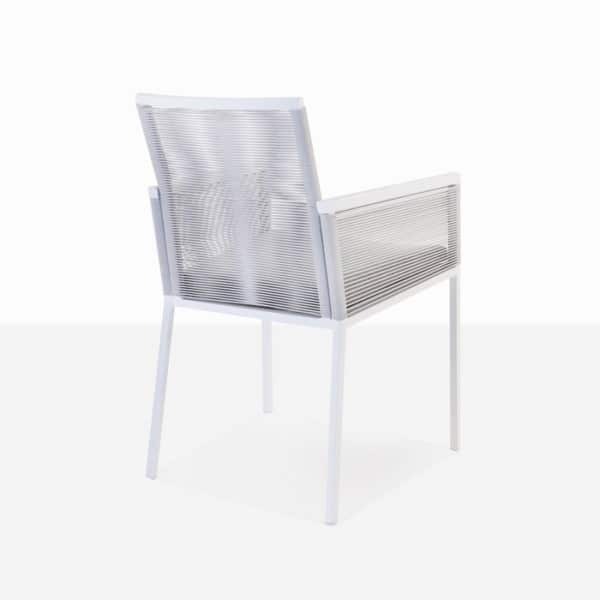 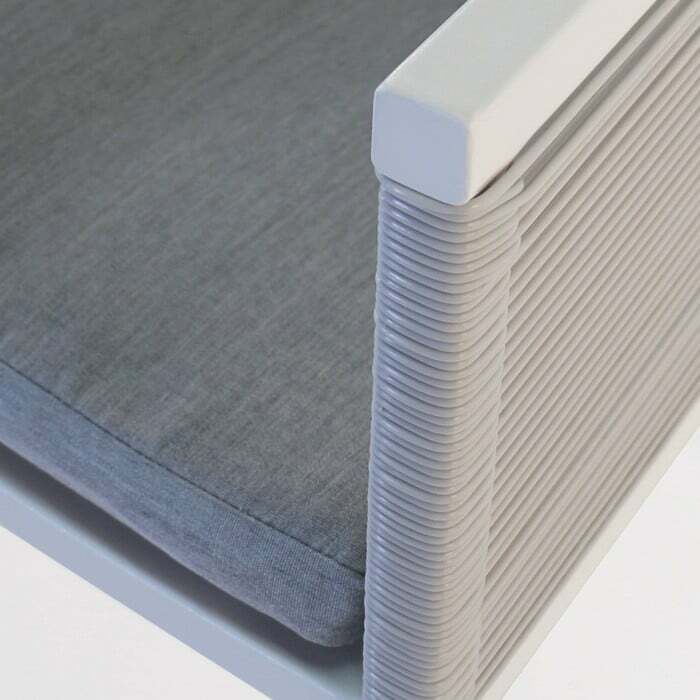 The polypropylene wicker strands that connect the arms and create the back support add the extra design element that makes this a standout chair. These materials are perfect for outdoor use and keep the chair lightweight and easy to move. 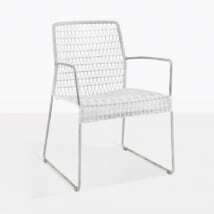 The Republic outdoor dining chair comes with a grey Sunbrella seat cushion that fits perfectly on the frame and provides the right amount of comfort so you can be sure to enjoy your meals outdoors. This chair will go with many of our outdoor dining tables, so you can create the look you choose. W21.5" x D26" x H34"